Guns N' Roses guitarist Ron "Bumblefoot" Thal pulls out all the stops in his blistering artist series. Dive into the intense, yet seemingly effortless, playing style of a true legend in our time. Learn the mental discipline and get the physical training necessary to take your playing to the next level! 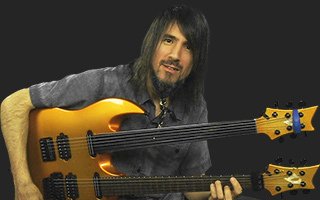 I am Ron "Bumblefoot" Thal. Welcome to my lessons here at JamPlay.com. and things where you're exercising your mind. You have to remember that music doesn't start at your hands, it ends there. and it leaves your body through your hands so I like to exercise where the music starts from. So we talk a lot about mental multitasking. Dividing your brain so you have a few things going on at once that you're focusing on different things at the same time. So how do you play two different scale patterns at the same time? Let's say you want to play two different rhythms or two different divisions of a beat, five against three. Starts here. We're going to work on that. and we'll get into a lot of tapping, a lot of sweeping, a lot of the more advanced, physical techniques on the neck. So before you dive into this there's a few things you should be comfortable with. bending, sliding, tapping, things like that. If you're not that great at it this series may help you get a lot better at it. It's something that you should have at least beginning comfort with in order to take this stuff on. you should know where to find the notes around the neck. That will definitely help a lot because we're going to be referencing things and so that you know what I'm talking about. You need to know that stuff. stuff but what matters most is pocket and groove and where you place the notes and your phrasing and your dynamics and all of that. and that's really the priority when you're playing that you should think about. Playing fast, playing slow, doesn't matter it's having that as part of your playing is what really counts. Thank you for checking out my series. Yet another amazing musician giving us lessons - loving this Artist series. Ron is a legend! Excellent lessons. I vaguely knew who Bumblefoot was when I saw he had lessons on here. The little I knew gave me the impression that he was sort of an odd duck, but I decided to give his lessons a chance. These are some of the best lessons I have ever watched. I highly recommend them to everyone. If I ever see any DVD lessons available by him, I will buy them without question. I saw the opening of this lesson and I was floored...I am a beginner with heavy fingers and slow reaction time. I am still in awe of the technique. I am now back to phase one with Chris Leipe. This guy has a very comforting voice. He obviously loves teaching and it shows. Impressive bio as well. For some reason I never heard of him til now even tho I am a huge fan of the many groups hes been involved in. Even as a beginner I look forward to this! Give us more! Great topic and delivery. Thanks, Ron. I have been getting kinda bored with myself lately.But this is something I know I really need and look forward to this series.Thanks Ron. 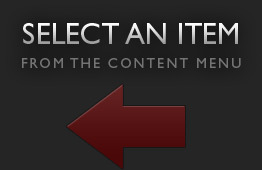 What an incredible pickup for the site! Every time I see a video of Ron Thal, I'm super impressed with his intelligence and the ease of his explanations. This should be a great series that I'll no doubt have to watch several times :). Ron Thal, very cool. This guy rips. hmmm this guy is new to me!